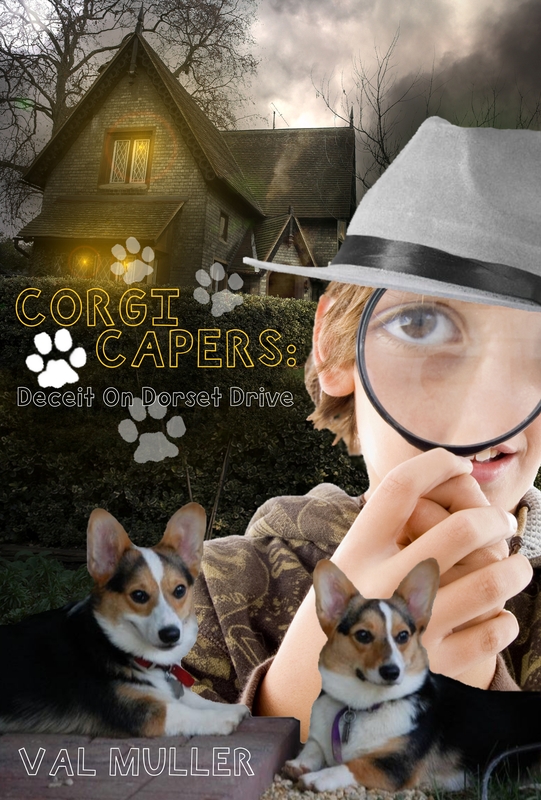 ← Corgi Capers Kindle books now on sale! 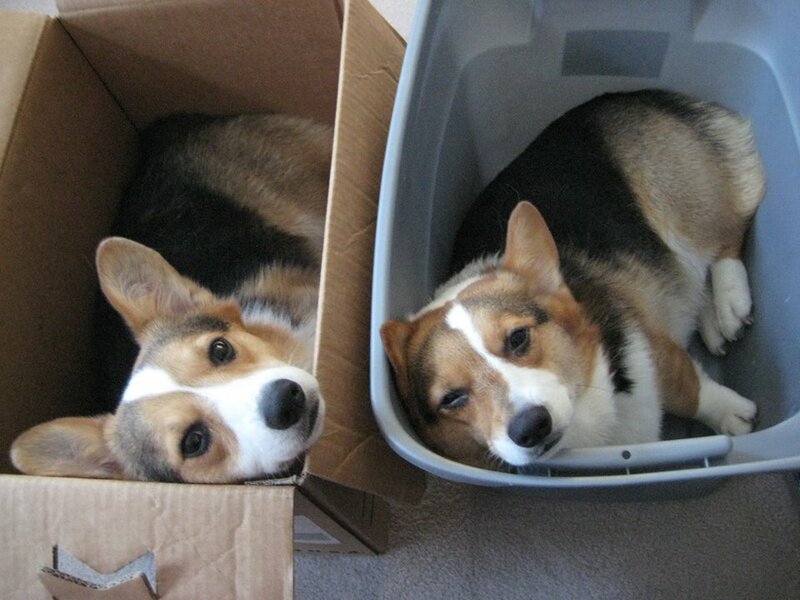 Since I last checked in, the corgis were getting adjusted to their new home. Now that they’ve had time to settle in, here is an update. Secondly, Yoda, the fraidy-dog, is still—well, afraid. He’s not super bright, and he’s gotten “lost” a few times in the house. We have a double stairway—a front staircase and a back one. Yoda has a habit of sneaking into the dining room, which is gated off on only one door. He sits at the gate, staring into the kitchen, and acts forlorn that he cannot get through the gate. His sister has to run around the long way and “get” him for me. The other day, he snuck into the dining room, couldn’t figure out how to get back, and ended up going up one staircase, getting “lost” in the upstairs hallway, barking his “distress bark,” and finally finding his way down the back staircase. The house isn’t that big, but like I said—Yoda is good, but not too bright. His favorite activities in the new house include sniffing all the air vents in the floors and rolling his back against the bottom stair in the family room. Leia, on the other hand, has been more mischievous. 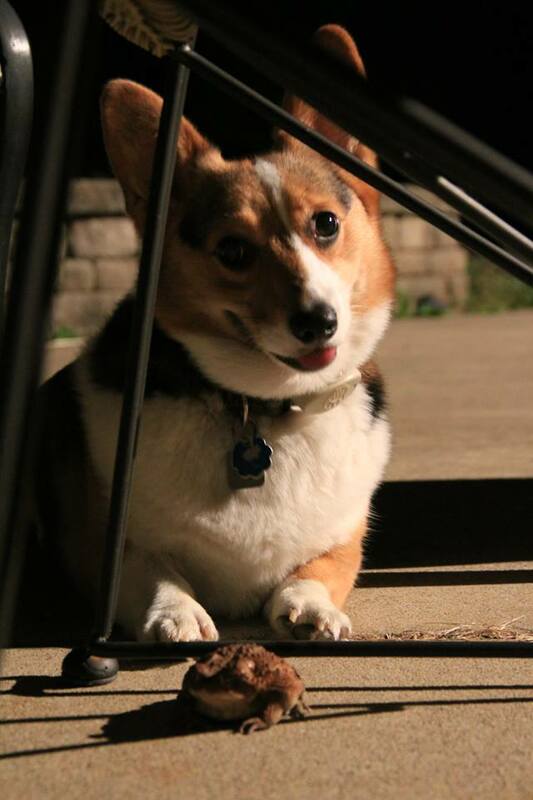 She is giving Corgi Capers character Sapphie a run for her money. Slowly, Leia has been sneaking upstairs (they aren’t allowed on the second floor of the house to prevent back injuries from excessive stair use) to “mark” each of the rooms upstairs. She only has two left to “mark.” The thing is, she knows she isn’t supposed to pee on the floor, and as soon as she does it, she runs down and claws at me, crying, so that I know she was bad. I guess the dogs that used to live in this house have left their scents, and it must be driving Leia crazy. Their invisible fence training is going well. Scared-y Yoda is terrified of the “warning beep” made by the fence, and he won’t go even halfway to the edge of his boundary. If I go too far, he turns his back to me, sits, and stares at the house. Out of sight, out of mind, I suppose. Leia will test the boundaries all the way up to the “zap.” The beeping warning does not compute in her mind—she doesn’t associate it with the zap. And she has allowed herself to be zapped a few times to chase a deer or two. She seems to be calming down now. Speaking of which—to encourage more readers to post reviews, I am offering a free Kindle copy of Corgi Capers book 2 for anyone who posts a review of Corgi Capers book 1 on Amazon. To receive your free book, simply email me the URL of your Amazon.com review, using the email address you use to shop on Amazon. I’ll send you a copy of Corgi Capers book 2 in hopes that if you enjoy it, you’ll leave a review for that book as well. Thanks for reading. 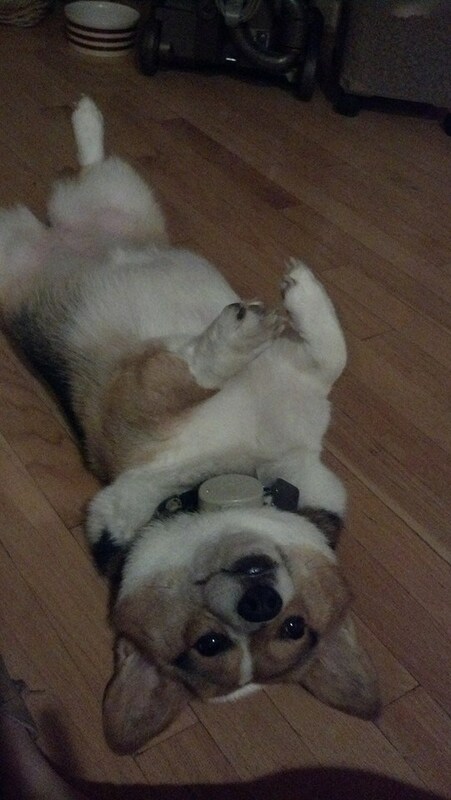 Stay cool, and stay corgi! 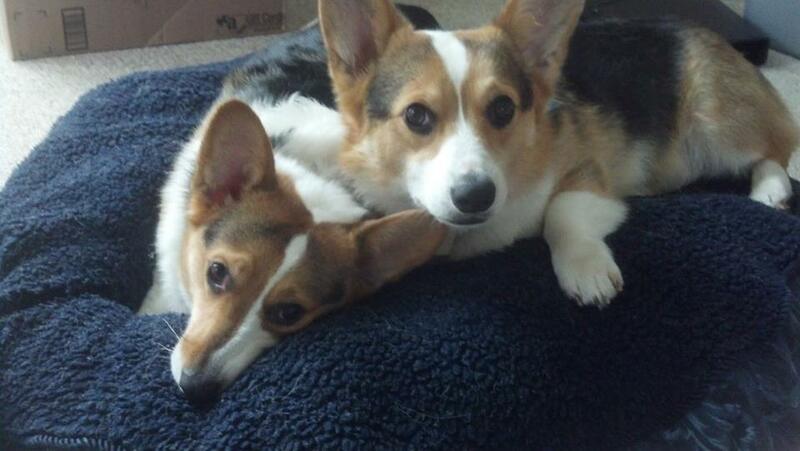 Posted on October 14, 2013, in corgi, corgi capers, giveaway, inspiration, photo. Bookmark the permalink. Leave a comment.